This post is a open draft! It was originally started on April 23, 2011. Almost two years later it makes it's public debut. It might be updated at any time... But was last updated on December 18, 2013 at 8:34 pm. What will happen to the years of oral and audio history embodied in the sound archives of the BBC World Service? The BBC is a non-profit, nongovernmental, governmentally supported and tax supported (not just tax payer money but also if one owns a TV in the UK then also a tax is levied on the owner to support the BBC) Media Production Organization based in LondonFor U.S. readers this is a bit mind blowing: non-governmental and tax supported with a specific tax on TVs. But this separation between government, services and the corporate sector may be less obvious in UK society..[ref 4] It is my understand is that this puts the BBC in a category of approximately a governmentally financed, private company. This allows the government to tax the citizens for the continued operation of the service and to also allow the organization to operate within the parameters of a company and use common commercial practices to achieve its ends. It should be noted that the BBC World Service items do not go directly to the British Library for archival as do many (if not all) media from other parts of the the BBC. The 4.5 miles of shelving at the archive make other archives like SIL International's look small in comparison. But like the BBC, SIL International has been working internationally, and with a variety of languages (in comparison many more than the BBC). SIL International has also worked with minority language people for just about as long as the BBC World Service has been in operation. Also like the BBC's archive, SIL's archive contains a varied amounts of content across many modes (film, audio and written forms). As the Guardian reported in 2009 the BBC archive was considering releasing its content to the public and to the world digitally via the web. It was also contemplating the options of releasing some portions for free and some portions under some commercialization accessibility options. While this sounds great for the general public who would not otherwise have had access to this content, it does raise some concerns. 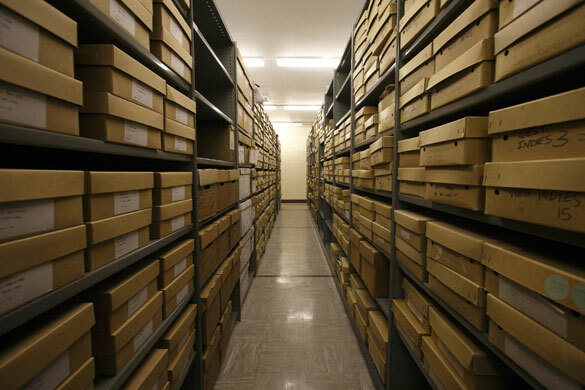 These concerns are primarily associated with how archives go about accessioning content and the obligations that the archiving institutions have to making the content accessible to the (taxpaying or funding) public. In May of 2001[ref 6], the BBC put together a campaign in which there was an effort to recover some of their broadcasting content which had been lost. The claim was that these losses were due to lax policies in the BBC and what is now presented as a change in policy about archiving content with rights protection and copyrighted material. Changing management policies and government funding is something that archivists have to deal with. i.e. Vienna Phonogrammarchiv in 2011Some political move was afoot to consolidate or close the archive, putting some of the collection in danger. and Discoteca di Stato in 2012[ref 9][ref 10] ) And while it sounds horrible that an archive might repress or destroy inventory, it is probably not more agonizing to the public than it is to the archivist. In fact it is probably more agonizing the the archivist. This is why the terms under which accessions are made are so very extremely important. It is this point about accessions which I feel is most often overlooked by many people in my acquaintance. In all fairness my acquaintances are probably heavily influenced and restricted to interactions with SIL colleagues and in their dealings with SIL's Language and Culture Archive. It is at the point of accession that the terms of access need to be considered. Unfortunately for many submitters of content to archives this is not even a thought, let alone considerations made by submitters for national laws which affect the holdings housed at archives or university libraries (acting as archives or stewards of collections). Archives are often seen as a place which will hold content indefinitely for some unknown future user. For financially minded administrators archives are sometimes considered as black holes on budgets with no return on "investments". Therefore if an archive can monetize accessibility to content it is seen by administrators of budgets as a good thing. This opinion is generally not held by the paying public, or contributors, although the public will recognize the financial conundrum. Monetizing content in and of itself is not an easy task. It takes the rigor of digital archival practices, a keen business sense, and an intimate understanding of the user experience expectations of the public (and also perhaps an imagination for how the content could be used). The British Library has an interesting use case for a partnership with a commercial entity. They have partnered with Brightsolid, a digital services and publishing firm out of Dundee, Scotland. Brightsolid is currently a wholly owned subsidiary of D. C. Tomson & Co. and has an impressive set of archive-history-social interest related products and brands. Among them are websites like scotlandspeople.gov.uk, genesreunited.co.uk, and findmypast.ie, all, with one exception are genealogy and public records related products. What makes the partnership interesting is that these websites act as a gateway to records held in the archiveIt should be noted that not all archives contain public data. It is assumed that BBC Archive Data is public data, but it might not be. 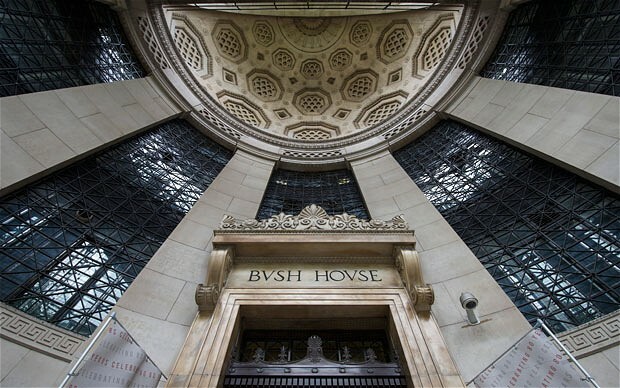 In the U.S. there is a strong effort to keep the data from federally funded research open to the public.. For instance, in an article about the collaboration between the British Library and Brightsolid over the British news paper collection, it was made clear that the future gateway to the archive's content will be through a pay wall. The newspapers are currently in a store in Colindale, north London, and are used by 30,000 researchers every year. Having recently used some of the services... content is valuable and content does rule. Content strategy plus engagement strategy. It has been rumored that the BBC is to turn over these archived items to a third party for management. This entry was posted in Access, Digital Archival, Language Documentation, Opensource and tagged Auction, BBC, Ethics, opendraft, SIL International, sil.org, UX by Hugh Paterson III. Bookmark the permalink.